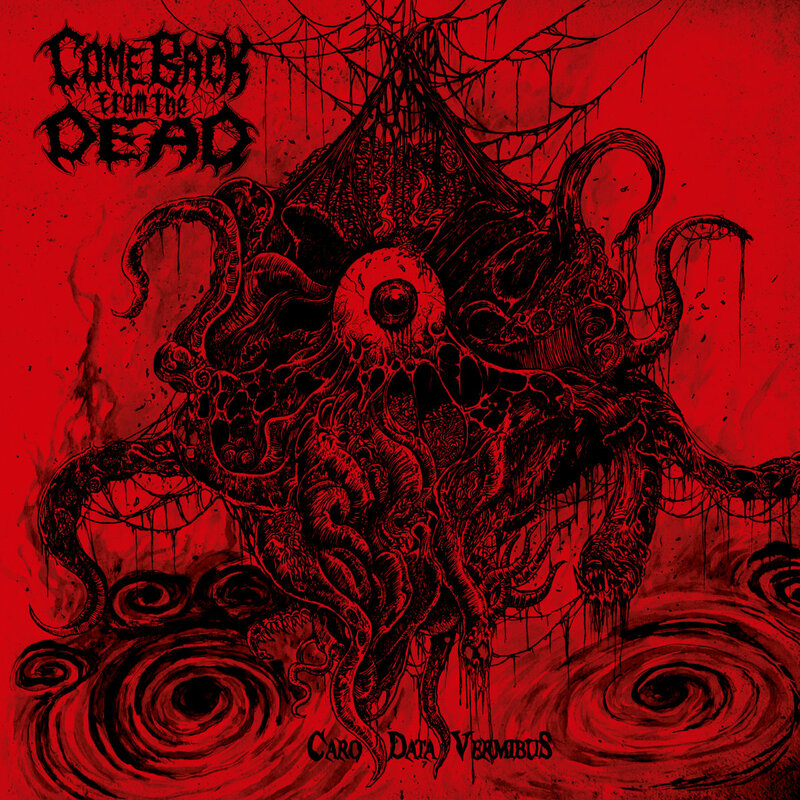 There's something about red covers that stand out, like this one from the new EP by Spanish death metallers Come Back From The Dead. "Caro Data Vermibus" was released on cd in September via Transcending Obscurity Records following a June vinyl release via Mono Canibal Records and Abstract Emotions. It features four putrid tracks and follows the band's two previous release; their 2013 demo and their 2014 full-length "The Coffin Earth's Entrails". La muerte es el único camino! Come Back From The Dead pray at the alter of the old-school. EP opener Vomits Of A Demonic Infestation is raw with the vocals high in the mix. The driving guitars and rhythm section are left to slug it out behind them yet the screeching leads and melodic guitar work can be heard throughout, while the bass lays a deep furrow. The title-track is a gloriously mid-paced crusher with one hell of a dank atmosphere. At times doom-laden and sludgy, Come Back From The Dead don’t mind ripping people’s faces and ears off slowly! Endless Bloodshed starts with a ripping solo before launching into the type of song that the title suggests it will be. Blood-curdling and scuzzy. It is hard to get over the volume of the vocals sometimes but they do make the record fiercer. 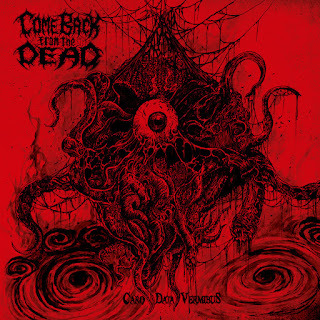 In closing song Carnivorous Craving From Beyond, Come Back From The Dead has written something that truly accurately demonstrates their sound. It’s a lurching doom/death song with added funky bass-lines in the background and festering lead guitar. It seems like they’ve really hit their stride with this one so it’s a pity that it’s the last song on the record. Needless to say, this is a killer EP from a band that are surely gonna drag Spanish death metal screaming into 2018 and beyond. The genre may have it’s roots embedded in Scandinavian folklore but other countries and bands are claiming their spot on it’s timeline. Come Back From The Dead deserves a place for sure.